These melodies aren't as moving as I remember. ATB — also known as André Tanneberger — has had a successful career in dance music for over two decades now, beginning with his roots in the group Sequential One, who first hit the scene in early 1993. But it wasn't until he went solo under the ATB name that he achieved more widely known success, including his first top hit, "9PM (Till I Come)", in 1998. He has released nine albums since, along with a variety of singles and DJ compilations, but his ascent started here with his popular debut album, "Movin' Melodies". Despite the album's title, there won't be as much moving going on as expected, as ATB delivers a blend of both the dance music you'd have heard in his radio-friendly singles and beach-oriented relaxation trance, closer to the Ibizan sound. After a calming introduction in The First Tones, a brief chillout tune graced with a mix of freestyle piano and guitar riffing, we're suddenly filled with Emotion, commencing immediately with more straightforward funky beats. The supposed emotion comes with a mixture of dance synths and fake guitar plucks, melted together to set the scene for fun times with friends as the tides roll in and out. Okay, the melody is actually pretty generic, but it will probably catch your attention. Underwater World features a beeping driving synth with a filter that makes it sound ever so subtly distant, as if it's actually underwater (but not really). Confusing vocal jabs of "Won't you have some of that?" are overlayed before another relaxing piano melody plays us into another sense of trance. ATB is already demonstrating through these first couple of full tracks that although he likes dance beats, he also won't settle for a club-friendly formula. Next up is Killer 2000, also known as simply "Killer", and is a dance cover of the 1990 song of the same name originally produced by British acid producer Adamski, as well as popular 1990s vocalist Seal, who later released his own re-recording to similar chart success. Known primarily for its haunting intro line, "It's the loneliness that's the killer", ATB's version is more dance-oriented than the previous editions but has a very similar arrangement overall. I've never been too fond of this ATB song, but it did well enough on the UK charts to hit the Top 5. Too Much Rain (ATB vs. Woody Van Eyden Mix) was actually part of a larger project called United Deejays for Central America and was formed to compose a song to raise money to support the victims of a 1998 hurricane in Central America. The phrase "Too much rain over paradise" is a significant mainstray of this track. ATB remixed this track alongside former Sequential One bandmate Woody Van Eyden by injecting it with his signature pitched guitar sound alongside reposing heavenly pads. It's actually pretty nice to listen to alongside a cool drink and a toasty red sunset in the evening. ATB's second big hit, Don't Stop, is also featured here, and it relies quite heavily on the formula used in "9PM (Till I Come)". In fact, it's so similar, ATB himself has denounced this single as the one he will no longer support, as it lacked originality and merely banked on its similarities with 9PM. While that's certainly true, I actually prefer the melody in Don't Stop just a little bit more. To calm ourselves down from this copycat fiasco, we have Obsession. An old friend of mine used to laugh at the silly mechanical sound effect used in this song, but I have to say it adds some significantly cute and charming flavour to this saxophonic coastal tune. Obsession is definitely another excellent relaxation tracks that shouldn't be missed from this album. I always forget about My Dream, and I'm not sure why. It's one of the more upbeat tunes on the album, creating a union between the islandic sound of Ibiza and the modern comfort of mainstream dance beats. Maybe I just dislike the vocals that say "My... dream..." without any sense of emotion or relatability. Maybe it's the relatively forgettable melody. Maybe it's just overshadowed by the more phenomenal songs on the album. Who knows? Meanwhile, Kayama has always been a personal favourite from this collection, though after so many years of hearing it, I'm having a hard time figuring out why. The song follows the same formula as many of the others here, but I think it's the nice and simple piano melody that dug a hole into my ear and stayed there for many years. I'm a sucker for those. Beach Vibes by EFF is an eight-minute opus, starting off with the soft sound of waves crashing upon the shore and very unusual clashy beats. ATB throws in some seemingly freestyle twanged guitar for good measure and rolls with it for a long period of time. This one could very well be the most relaxing and soothing track on the entire album, and with such a length you could easily fall asleep, your eyes becoming ever heavier with each passing beat and pluck. To wake yourself up, why not try Movin' Melodies, the title track? It's decent but lacking in a significant pull factor; in fact, it's more or less the most "standard" dance track on the album, demonstrating nothing that would give it an edge over the other songs available here. It's skippable, to be honest. To end things off, we have Sunburn, complete with tom drums and fake flute synths to bring us back into ATB's patented islandic mood. But it's the steel drums that give this track a bit of flair. While the melody itself isn't exactly inspired, the atmosphere it creates is something completely different and is a fair ending to this both calming and energizing album. Each version of Movin' Melodies had a different bonus track after the full album, but the original CD came with 9PM (Till I Come) (Signum Remix). This mix is standard fare with some extra synths, focusing more on what Dutch trance duo Signum could bring on their own, rather than leaning on the pitched guitar riffs of the original. It's a shame they didn't put more ideas into the result, as their new ideas sound more like a buildup to an even bigger idea rather than the main event. 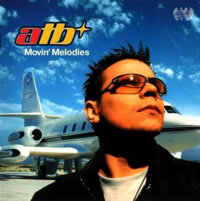 ATB's debut album showed exactly what he was capable of doing: creating a successful intermixture of dance-friendly and chillout music on one album. He would continue this trend throughout most of his subsequent albums, even going so far as to create a second disc full of ambient songs for many of them. Movin' Melodies may not be exciting all the way through, as a few dull spots dampen the experience a bit, but it's a great mix to throw on as the sun sets over the horizon on a cool summer night.